In order to soften the news of a family move across the country away from all her friends, Macey’s parents surprise her with a trip to Walt Disney World. At Blizzard Beach she zooms down a giant water slide and pops up hundreds of miles away in the Atlantic Ocean a long way from shore. Moments later she is joined by Luke, who finds himself in the same situation. With the help of a very special amulet, together they are transported to the shore of a secluded island where an ethereal and very mysterious woman introduces them to the legend of White Island. The teens hear the engaging and courageous story of Martha Herring who was forced into a marriage with a notorious pirate, and abandoned on the island to guard his pirate treasure. This is a recounting of all her adventures and the challenges she and all those in her life endured over many years. It is also the story of how the bonds of strong friendships can impact our lives and sustain us during difficult times. I gave this book as a gift and my grandson had a hard time putting it down when it was time to eat dinner. I would say it was a big hit! An amazing story of treasure, ghosts, friendships, pirates, and love all packed into a classic adventure. 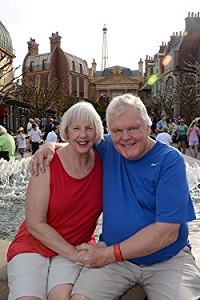 Author Bio : Jeff Lovell is the author of six adult adventure/mystery novels. He has an Ed. D. from Vanderbilt University and has taught a variety of language arts classes, including writing and British literature. He has directed the theater department at the school where he taught for 34 years and helped host a TV show at WSPY IN Plano where he reviewed plays and movies. 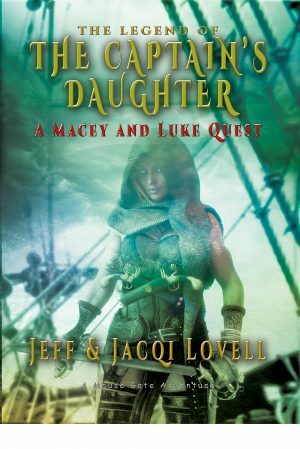 Jacqi Lovell has a M.S. in Education from The University of Illinois, majoring in language arts and writing. She has worked in junior high, taught parent education classes, La Maze childbirth classes, and bible studies. Because of their education background, Jeff and Jacqi feel committed to helping kids gain self confidence and courage in their lives and have chosen the engaging and fun venue of Walt Disney World to get their message across.